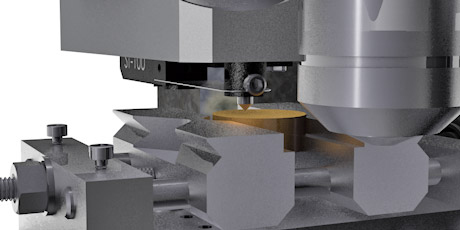 Scratch testers from Anton Paar are used to characterize film-substrate systems and to quantify parameters such as adhesive strength and friction force by using a variety of complementary methods. This makes them invaluable tools for the determination of coating adhesion, scratch resistance, and mar resistance in research, development, and quality control. Anton Paar is the unique holder of the patents US 8261600 and EP 2065695. The scratch tester’s panorama mode is the most important feature of the software. After the scratch, you have the option of recording the full panorama. When your panorama is recorded, you can re-analyze your results at any time. 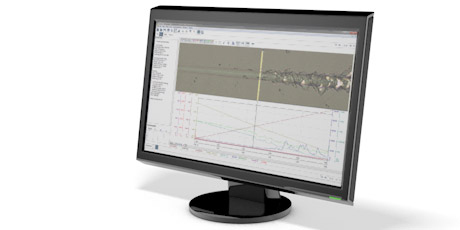 The displacement sensor Dz monitors the surface profile of your sample before, during and after a scratch. This means you can evaluate the penetration depth of the indenter during and after the scratch, for even more reliable insights into scratch and mar resistance. 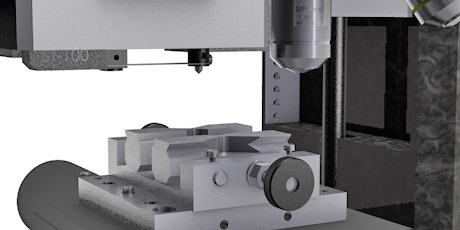 The system’s active force feedback ensures reproducible scratch testing, even when you investigate more complex surface geometries like non-parallel, rough or curved samples. Anton Paar’s testers are the only commercially available systems that have active force feedback. 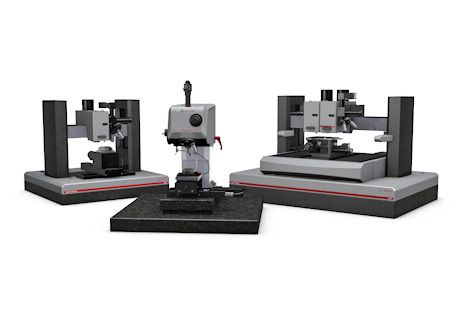 Anton Paar scratch testers can be configured flexibly to grow with your future needs. You can choose a Compact or an Open Platform, on which all testing and imaging modules are installed and “synchronized” with each other. 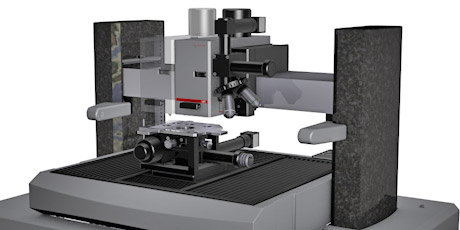 The optical microscope is included as a standard module on both platforms. 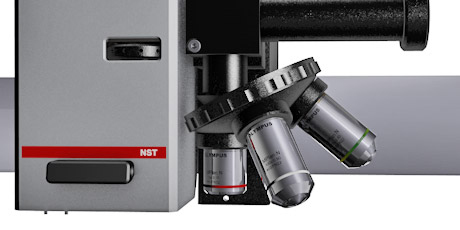 The scratch testers’ integrated microscope consists of a turret with high-quality Olympus objectives and a USB video camera rather than a single objective microscope of lesser quality. The easy change of magnifications for imaging becomes ever more important with regard to testing throughput.